The pop culture and entertainment website Badmouth recently interviewed Comics Experience Founder and former Marvel and IDW Editor Andy Schmidt. Hey comic book fans, here’s some trivia for you. What do Nick Spencer, writer of Morning Glories, and Shaun Manning, a semi-finalist in Stan Lee’s The Seekers writing contest from MTV have in common? Writer Hilton Collins had an in-depth conversation with Andy that begins with a run-down of Andy's career and then covers everything from how Comics Experience got started to his writing work on the creator-owned 5 Days to Die published by IDW! 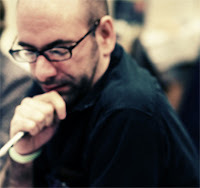 WORKSHOP GUEST: Brian Wood Joins Creators Workshop LIVE 2/8/12! 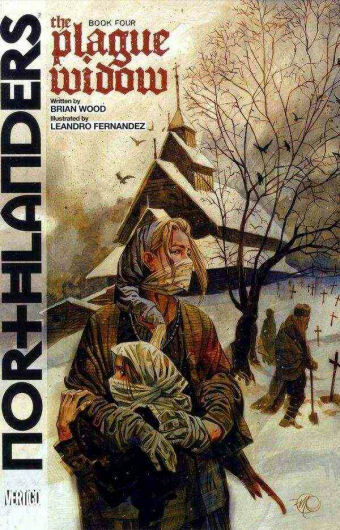 On Wednesday night, February 8, 2012, writer Brian Wood, will be joining us for an online Creators Workshop Book Club discussion of Northlanders, Book Four from Vertigo/DC Comics! Set in Viking Russia in A.D.1020, and with story elements from crime, history and survival fiction, Northlanders, Book Four: The Plague Widow follows the life of a remote settlement under siege by a contagious outbreak. Brian Wood has focused his career almost entirely on creator-owned work, with such original series as DMZ, Northlanders, Demo, and Local. He released his first series, Channel Zero, in 1997 to critical acclaim and has continued to produce comics and graphic novels ever since. He’s become one of the most notable creators of the last decade, earning multiple Eisner Award nominations. Editions of his work have been published in close to a dozen foreign languages. This year, Wood kicks off the second major phase of his career with the original series' The Massive, Anthem, and Mara, as well as Conan for Dark Horse Comics and The X-Men for Marvel. Join us at the Creators Workshop to take part in what's sure to be a fascinating discussion with Brian! 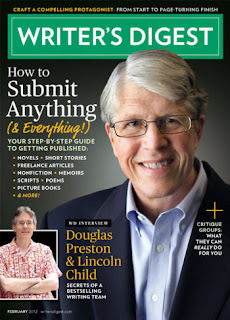 Andy Schmidt's "Submission Checklist" in Writer's Digest magazine! 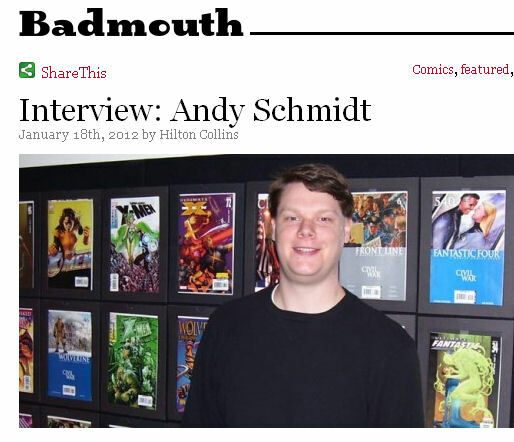 The February 2012 issue of Writer's Digest magazine contains an article on submitting your work to comic book publishers, written by former Marvel and IDW Editor and Comics Experience Founder Andy Schmidt. The February issue contains a special section on "How to Submit Anything (& Everything! 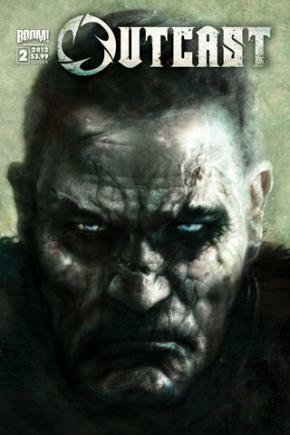 )," from screenplays to novels, and includes a section by Andy on "Graphic Novels & Comics." In the two-page article, Andy offers an overview of how the comics industry works, and then provides a checklist of the key items to include in your submission, from captivating cover art to tips on writing your synopsis. The February 2012 issue of Writer's Digest is available in print at your local newstand or bookstore, or you can order a PDF version directly from Writer's Digest right here. 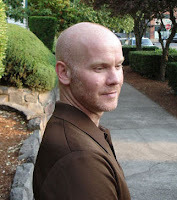 Tomorrow night, Tuesday, January 24, 2012, writer Paul Tobin will be joining us LIVE and online for a Creators Workshop discussion of his career and his experiences writing for Marvel, DC, Dark Horse, Top Shelf and more! 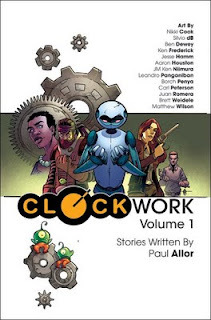 Paul has also published creator-owned work such as the critically acclaimed Gingerbread Girl with artist Colleen Coover, from Top Shelf. Breaking In / Making Comics TweetUp 1/4/12 - Last Questions Answered! We had a few "breaking in / making comics" questions that went unanswered at last week's first Comics Experience TweetUp (hashtag #CMXEXP), but former Marvel and IDW Editor and Comics Experience Founder, Andy Schmidt, took the time to provide the answers! You can follow Andy (and Comics Experience) on Twitter at: @ComicExperience. How important do you think it is it to attend US cons if you're hoping to break the US market but based elsewhere? This is a tough one and kind of hard to answer without more information, but I'd say if you're looking to get freelance work from American companies, going to American conventions, or at the very least a convention with American publishers, is a really valuable resource. Not being able to attend wouldn't prevent you from breaking in, but it just means that one (of many) resources isn't available to you. 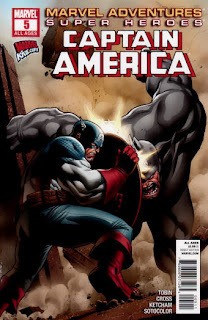 You can still reach out to American publishers and their employees via Twitter, Facebook, LinkedIn, and various online communities like the Bendis Boards or Kirkman's boards or Millarworld or a host of others. Heck, the Comics Experience Creators Workshop has several working professionals as a part of the community and that includes a handful of editors. So while it's a slight handicap, it's only that--a SLIGHT handicap. When trying to build a relationship with an editor or publisher, can you send them work, without pitching? Or is that seen as annoying? I mean sending them things you've worked on but not looking to pitch them on. Writer or artist, it's fine to send editors work if they've said it's okay. There's a lot of fear about annoying people, and I get where that's coming from, but if you simply ask if it's okay on a person by person basis, you'll likely avoid falling into that trap. So if an editor says to go ahead and send your work, do so. Don't send them something every day, maybe once or twice a month at most. Often they'll even say something like, "Sure, that's fine with me. No more than once a month though please." I used to say that a lot. When dealing with an editor in person, is it a bad thing to pitch more than one story? When in person, pitching is actually pretty rare unless you already know the editor fairly well. Regardless, it's not bad, per se. I might just start talking to figure it out as you go. Maybe ask to follow up with them with a couple of quick-fire ideas on characters that editor works on. That'll give you time to think and hone those ideas into concise, one-paragraph pitches to send in. That way you're giving him or her something polished and he or she is expecting to hear from you. When creating a new story do YOU typically start with character or conflict? I typically start with character. But that's just me. I usually come up with a character I like. Other ways I've gone are: A title that worked for me and the rest fell into place, a high concept that seemed like fun to explore (then I figure out the right kind of character to go in that concept), a world that seems interesting and the kinds of people who might inhabit it. how often will a penciller ask for/make changes to finishes/inks independent of editor input? I think you're asking how often a penciler or finisher gets asked to make changes by an editor. If that's the question, it's sort of an avenue of last resort. If I can't cover a minor mistake with a tidy dialogue bit, a color correction, or something like that, and it's not a small error I can live with (and that means doesn't disrupt the story), THEN I'll ask an artist to make a change. There have been times when art has come in that hasn't been up to snuff and I've asked for art corrections at that time. What advice would you recommend for a writer trying to pitch a story to a publisher like DC comics? Have some other work to show in the comics field. Your own creator-owned book is great. Work published by other publishers. Most creators don't start at DC at Marvel. It can happen, but that's becoming rarer. 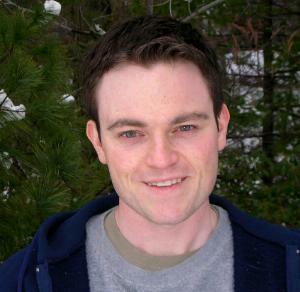 If your only goal in comics is to write Batman, then right now you'll have to be more than better than Scott Snyder. You'll also have to be able to PROVE that you're better than Snyder, prove that you can deliver on deadline and prove that you can do it again and again. And most of that is covered by a body of work to support that assumption. And even then, you'll have to wait for Snyder to leave Batman when he chooses to do so. Sounds harsh, I know, but it's yet another case for why making your own comics with your own characters is such a great and rewarding thing to do. What was toughest obstacle for you to overcome in your comic career in the beginning? Wow. I think learning the ropes of editorial at Marvel was really difficult for me. There were specific reasons for that in my case. I was in an office down a long hall from my boss, so it was really difficult to learn from him. In the office with my boss was his other assistant who had been working with him for about two years. They were a well-oiled machine so I was a third wheel for a while. In that six months, the smartest thing I did was talk and make friends with the good and talented people in Marvel's bullpen. I learned a lot about things I didn't know about production work, the importance of file sizes, copy safe, bleed, all these things that are extremely important to publishing good comics that doesn't get talked about a lot. Also, those guys were willing to do a little extra on my projects from time to time because we got along. I also talked with as many freelancers as I could and learned as much as I could from them. For that first six months, I felt like I was pretty useless and was likely to get let go at any moment--and I wouldn't have blamed them. Then, and I'm not sure whose idea this was, it could have been Tom, my boss's idea or it may have been Marc, his first assistant, or someone in management, I honestly don't know--but the decision was made for Marc and myself to swap desks. I moved in with Tom, allowing me to learn from him directly--and what a huge amount there was to learn from him. And it allowed Marc, who had done great work, to start to establish himself independently of Tom a bit more so he could move his career forward a bit more. It was really an elegant solution. But those six months were really tough for me. I think once I was in the office with Tom for a few months, he began to feel like he could depend on me more and that was when I was able to start growing as an editor and a collaborator. As an unknown, do you think I should focus on one idea--start a series--or throw a lot out there, multiple books? That's a tough one. I think that depends on a lot of factors, the first of which is how you work most effectively. Are you the type of person who really focuses on one thing and only that or do you enjoy bouncing from project to project? Also, your financial situation may come into play. If you're working on multiple projects, that could be a lot of money going away from you before you see any start to head your way. There are a lot of factors, but basically, I think it would come down to how you work and what's comfortable for you in your situation--and ultimately--what your real goals are. 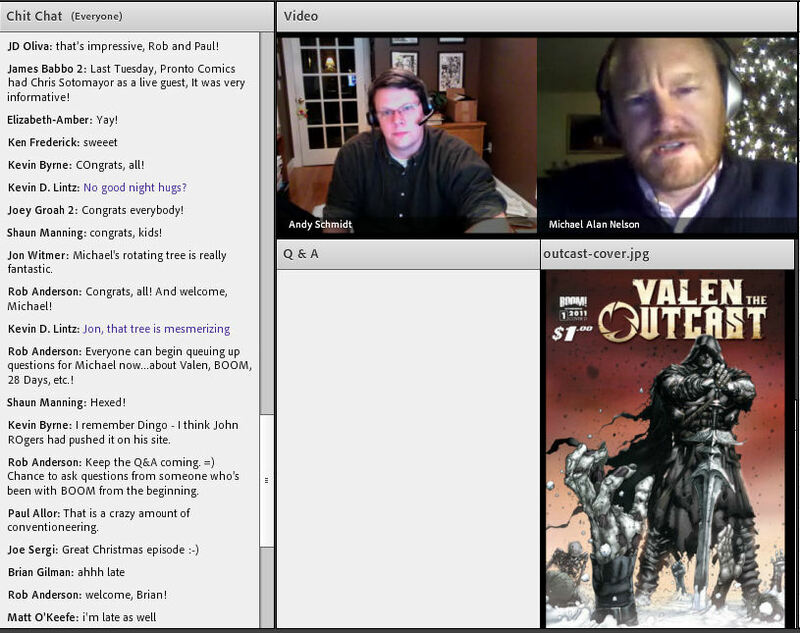 Breaking In / Making Comics TweetUp 1/4/12 - Question & Answer Highlights! Last week, Comics Experience held its first TweetUp, using the hashtag #CMXEXP, allowing Twitter users to speak directly with comics professionals about breaking in and making comics. 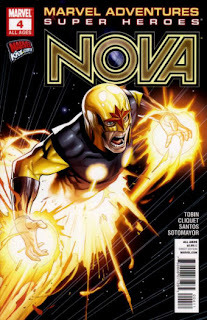 Former Marvel and IDW editor Andy Schmidt, artist Robert Atkins and colorist Chris Sotomayor answered more than 70 questions on the comics craft, networking at conventions, preparing a great pitch and many other topics. The Tweet Event participants all have Comics Experience courses beginning in January, including Introduction to Comic Book Writing, Introduction to Comic Book Coloring, and Advanced Comic Book Art. Here are just a few of the questions and answers from the event. And tomorrow we'll hit some of the questions we weren't able to answer during the live session! When someone says "good idea, but you need to push it", what are some good strategies for doing that? For "pushing it" what I do is take my concept and circle it in the middle of a sheet of paper. Then I draw lines out like spokes on an old wheel. At the end of each spoke, I come up with something unique that comes from the concept. How it affects young people, mothers, different races, politics, the weather, the economy, the environment, and so on. Pushing a concept means you may not be getting the full potential out of it yet. What is the one thing I could do today to be a better writer? Write something you're not good at or haven't done yet. Stretch genre and format. and do the research on those things. Do you like when a script has camera angle suggestions often? I don't like camera angle suggestions often. Most artists have better ideas on this than most writers (general rule) . Do you have any personal rules for when it's appropriate to break action out of a panel border or into the bleed? Only when it leads to the next consecutive panel, never move the action backwards. It's RARELY necessary. Sketching in a sketchbook, figures, places, hands and faces. ALWAYS draw on your free time to get back into a groove. Any tips on when it's appropriate to add textures and how much? As long as it doesn't distract the reader, you're okay. But I always recommend a subtle touch so as not to clutter. Also, more open line art can sometimes support the use of textures pretty well. But again, a subtle touch is best. I'm already married. Will taking your coloring class cause me to leave my wife for it? No, but it'll make your marriage better. You'll gain a better understanding of each other's needs. My class is Supreme and all encompassing! Any Time management tips for colorists? Try to section your day & see how long it realistically takes to color a page. Set small goals & learn the quick keys. What is the best way to approach a con? I have no experience in this and am a writer. I think you want to approach a con as a place to meet people. It's not really a place to pitch your story ideas. Sad but true. But you can really start to get to know people that way and that's great. You can start seeing them as friends instead of intimidating people to talk to. And that's a very cool feeling (and a good sign). If you’re a writer by yourself at a con, have plenty of product and a concise, descriptive salespitch. Also something to give away, postcards, free comic, stickers . Don’t let them leave empty handed. 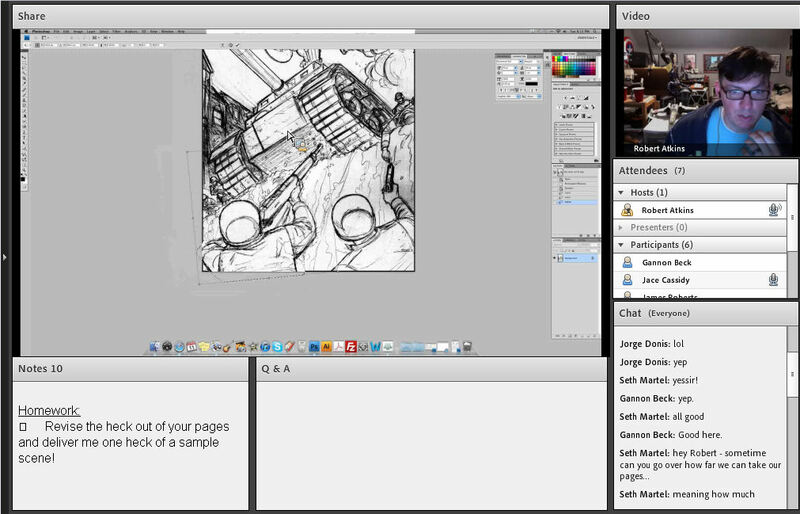 If you cant hit a con (expense or schedule) create a presence online (Facebook, Twitter, Deviantart, etc). And product could mean more than your books. Dog tags with the logos, shot glasses, nic-nak stuff. I have written lots of scripts, and published comics. How can I get editors to read them? Sadly, I know of no way to force someone to read your comics. I think what you want to do is target where you're sending them. Try to get to know the people you want to read them and see how open to it they are. Additionally, the more coverage you can get on your comics, that always helps. But target the editors you think would like it. Personalize your correspondence with them. A lot of it is networking and that's harder work than a lot of people realize. If I was to pitch art to an editor, what are they exactly looking for in a portfolio? 1. Clean storytelling. 2. Dynamic art. 3. unique execution (or voice). And in that order. Clean storytelling, reproducible pages/style of art, competant figure work and environments. 3-6 pages story, 1 pinup. Good tips for the portfolio, but good gosh - my mind's a blur. What's a pinup? Cover image. You only want one, but make it your best. It isn’t even necessary and the editor will focus on your pages. How can a pitch really stand out from crowd - for both an email pitch and in-person. It's easier than you think. Clarity and follow through help. Most pitches have big problems. Just the basics put you at the top of the heap. But be concise and remember to TELL THE STORY. Make your pitch EXCITING to read. If you had one tip on breaking in, what would it be? Be yourself and be confident (even if being confident is not being yourself) ;) It really does make a difference though. Learn everything about your craft. And don't be a douche when interacting with people in this business. This is a small business. Word gets around if you act unprofessionally. @ComicExperience @RobertAtkinsArt @SotoColor what is a common mistake you see new creators make in artwork, writing, or coloring? In coloring, too many FX that don't have any bearing on the storytelling. Nonsense. Yes, if you're working your way in, don't say you're better than this guy or that. This is a small business, and it'll get around. Again, don't be a douche. Writers write one type of character, pencilers have messy layouts, colorists rely on special effects. 3 common mistakes. Could you explain what you mean by 'writers write one type of character'? Usually it's the stoic tough guy. But some will write a bunch of stoic tough guys. I'd like to see a comedic character, children, women, older people, different races, political beliefs, and so on. How old is "too old" to begin a comic career? You're NEVER too old, if you've got will & imagination! Do you feel that putting out a web comic is worth the expense in order to get exposure? I think you can only determine that on your own goals and finances. It's an option. But if you do that, how are you going to drive people to your site to see it? You need a plan to get folks there to read it! What's the best way 2 get an artist collaborator if u can't pay a page rate early on? Make sure they're not married or have any bills to pay ... I’m not joking. The artist HAS to be just as excited about it or a co-plotter to feel invested. Troll Artist Alley at cons and be upfront about expectations. Also, there are other means of compensation besides money. Chances are that they'll be looking for exposure, as much as you. Offer them partial page rate or offer them partnership in the enterprise. 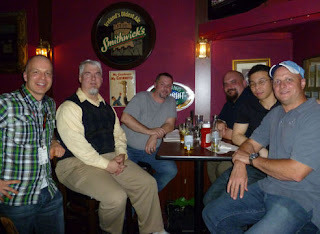 Thanks to everyone who participated in the TweetUp Event. To learn more about Comics Experience, check out the classesand Workshop, or sign up for our newsletter. Tomorrow night, Tuesday, January 10, 2012, writer Scott Snyder, will be joining us for an online Creators Workshop Book Club discussion of American Vampire, Volume 1 from Vertigo/DC Comics! 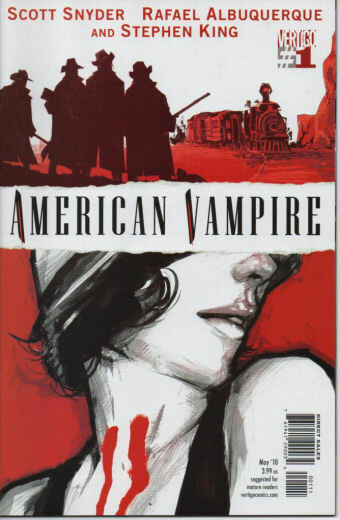 Volume 1 of American Vampire follows two stories: one written by Scott Snyder and the other by Stephen King, with art by Rafael Albuquereque. In Scott's story, set in 1920's Los Angeles, we follow Pearl, a young woman who is turned into a vampire and sets out on a path of revenge against European Vampires who tortured and abused her. Scott is the red-hot writer of Batman and Swamp Thing from DC Comics, as well as the horror title Severed from Image. Join us at the Creators Workshop to take part in this sure-to-be great discussion with Scott! 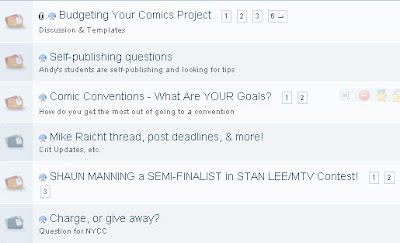 Tonight, Wednesday, January 4, 2012 at 8pm Eastern Time, Comics Experience instructors will be answering questions about making comics and breaking in during a live Twitter Event. You can ask our comic book writing, art, and coloring instructors your burning questions. This "Tweet Event" leads up to the start of our three courses -- Intro to Comic Book Writing, Intro to Comic Book Coloring, and Advanced Comic Book Art -- all beginning in January and open for enrollment right now, with just a couple slots left open in each course! 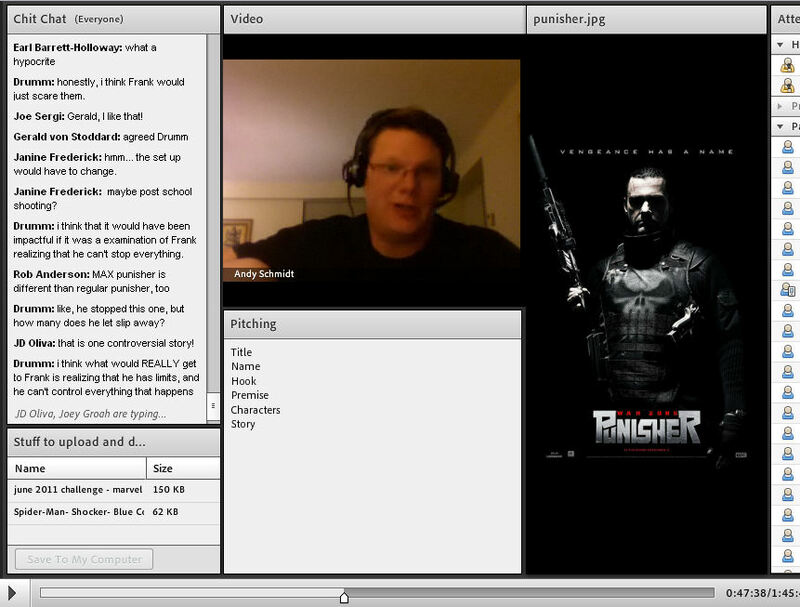 iFanboy's "Making Comics" with Andy Schmidt Podcast Episode #3 posted! The third episode of iFanboy's Making Comics with Andy Schmidt podcast has been released! In the third episode, listen in as iFanboy host Josh Flanagan and former Marvel and IDW Editor (and Comics Experience founder) Andy Schmidt discuss "Long Stories or Short Stories?" "This week, we discuss how long you should go! Should you start making short stories, or go for the long epic tale that’s been festering in your brain for as long as you can remember. What’s the best way to start? We’ve got our take on the long and the short of it, when it comes to comics." Comics Experience has really grown significantly in 2011. And I don't mean that we just added new courses as well as new activities in the Creators Workshop. The membership has tripled in the last 12 months and just keeps on growing. I mention this because it's astonishing. We've done no advertising, we've done almost no promotion for Comics Experience. We post on Twitter occasionally and we have our blog and a Newsletter for those who sign up for it. That's it. So when talking with Rob Anderson, our General Manager and Paul Allor, our Book Club Manager, we wondered why membership has been growing so fast. And it comes down to one huge thing. Word of mouth. Our Workshop members and course attendees are talking up how comprehensive, fun, and intensive the courses and workshop are. But even more than that, they're talking about our community. 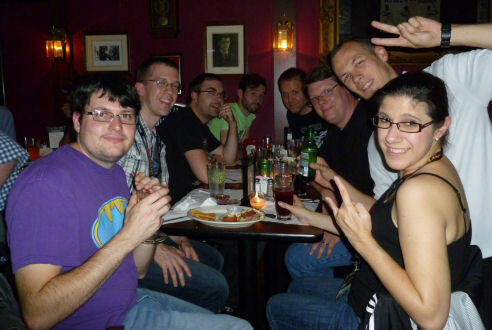 2011 saw our first in-person meetings at conventions. Almost every major convention in the United States -- like NYCC and SDCC, just to name two -- had a Comics Experience meet-up where we all got together at night, continued to get to know each other, swapped stories, and compared notes on the convention. We'd do this about halfway through the convention so that we could all strategize the second half of the show. Members have been helping other members meet with comics editors and publishers, or taking them by to meet great artists or talented writers. The community -- the genuine desire for everyone else in the Workshop to succeed -- more so than anything else, has made Comics Experience's Creators Workshop an untouchable success. And as membership has grown, we've been feeding those funds from member's payments right back into the content. There's a Book Club where we review a graphic novel together with at least one of the creators. These sessions usually last about two hours. Just last month we were pleased to welcome Terry Moore (Strangers in Paradise) to discuss his awesome book Echo. 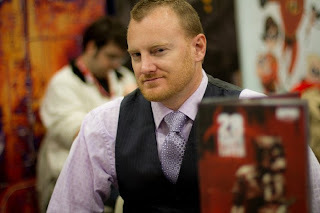 Before that we had Joshua Hale Fialkov (Elk's Run, I, Vampire, Tumor) on to discuss his Top Cow book Echoes. (No, it wasn't a themed book club, but Echo and Echoes are both fantastic books!) And we had in Jeff Lemire (Animal Man, Frankenstein, Essex County) to discuss Sweet Tooth before that! Coming up just next week, Scott Snyder (Batman, Detective Comics, Swamp Thing, Severed) is joining us to discuss American Vampire, Volume 1, his Vertigo book. And all of those top-notch guests have come about because our membership has grown and we've been able to bring Rob and Paul on board to bolster up the programs. 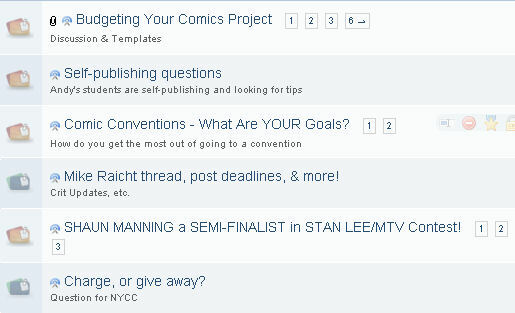 We've had more Workshop meetings on topics and with creators in 2011 than I thought possible. Last month's session with Michael Alan Nelson gave us some great insight into breaking into comics and his relationship with BOOM! Studios, a continually growing comics publisher. Coming up, we've got a session with Drew Gaska who is the only person I know of who was able to license properties from Fox directly -- not through a known publisher. He actually got Fox's attention HIMSELF and got licenses for Planet of the Apes and Space 1999. He's going to talk with us about just how he went about doing that. Paul Tobin will be joining us to discuss his career writing "all ages" superhero comics. His credits include Marvel Adventures Spider-Man and every other Marvel Adventures book (in addition to work with DC Comics, Dark Horse, and Top Shelf)! He may just be the most widely read superhero writer working today as his work gets repurposed and distributed through more channels -- and more "custom" and promotional comics -- than any other mainline superhero books. Every month, we've got writer and artist members of our community receiving professional critiques from outstanding comics creators. Michael Alan Nelson (Valen the Outcast, 28 Days Later), Chuck Dixon (Batman, Punisher, G.I. Joe), Peter David (Incredible Hulk, X-Factor, Supergirl), Mike Costa (Blackhawks, G.I. 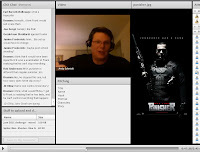 Joe: Cobra), and many more have done professional reviews for our community members. I'm committed to making the Creators Workshop the BEST place for budding comics creators to hone their skills, learn every aspect of the comics business, and network effectively. When the Workshop was created in 2010, I honestly thought it would be several years before we'd be able to say that we achieved that goal. But only a little over a year later, we're there. But don't worry, there's plenty more we have planned as membership continues to grow. We're not content with being the best, we want to be the only place worth considering! 2011 also saw several success stories from Comics Experience Alumni and Workshop members. We had more than twice as many comics published by our alums this year than in the previous four years combined! My sincere congratulations go out to everyone (too many to name) who published their own books and who had their work published by others! Nice work! This last year, our members and alumni were published by Marvel Comics, DC Comics, Image Comics, IDW Publishing, and many more! We've also had alumni on staff at Marvel Comics, IDW Publishing, and DC Comics. Congratulations to you all! If you're interested in making comics -- writing, penciling, inking, coloring, or lettering -- there's no better place to get started, to learn, to practice, to grow, and to start getting your work out there! If you've got a genuine love of comics and interest, join us today -- the Creators Workshop only gets better with each new member! Thank you to all Comics Experience alumni and Creators Workshop members for your continued support and spreading the good word! Read PART II of Andy's 2011 Year in Review right here.